It looks like Carey Potter has only caught herself a few. Yes, take them down there to the complaint department, Scary Carey. That's her real name. The complaint department is that room that looks like a cage... I assure you that it's only a coincidence. Don't mind the bones. They're just decoration. Now let's see how many my Witchilda has tricked. I have to see that witch - let me through. She have me this magic pea - it made me sleep better. And give me my beauty rest.. But it also... This is so embarrassing... It made me wet the bed. Now everyone calls me Princess PP. This is the worst trick ever and I can't get rid of the pea either. I throw it away and it magically reappears. And it makes me sleep all through the night... so long I... wet the bed. It doesn't matter how many mattresses I do either... I still go PP all night long. I got ripped off too - I was supposed to have this repellent but it make that wolf guy like me more... He won't leave me alone... He now follows me everywhere... He even followed me to grannies house... And he scares my granny so bad she ran away or I think he ate her. I'm not sure... but she's gone. That means no more birthday cards with money in them. And she gave me these legs but they won't stop running! Avast! Where is that land lubber? I'm gonna make her walk the plank. This compass she gave us got us lost instead making Peter Pan found! We don't know how to get past this tree. This be common witchery - it's a joke tree - ye make it laugh and it lets ye past. I have one. What do Unicorns call their father? "Pop" corn. 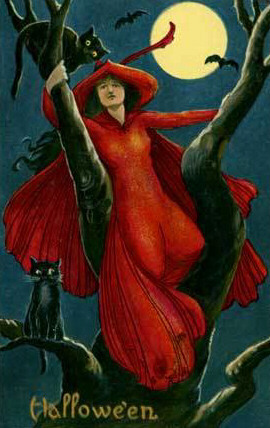 Or how about this one... What do witches wear on their hair? Scare spray! I have a good joke. Why were the giant's fingers only eleven inches long? Because if they were twelve inches long, they'd be a foot! Yo ho ho - let's go! Excellent. Yes, follow the signs. The complaint department is right over there. Be sure to close the door behind you. Is it locked? Oh dear. I will go locate a key immediately... or not! (Evil laugh) It looks like a fine number of victims my daughter has caught for me. And yummy looking ones too.